Each year AFCU recognize two outstanding student Members through it’s Lambert Cecil and Charles Maglinger Scholarships. These are open to high school students planning to attend college in fall of 2019, enrolled college students and Members who are planning to further their education. Give us a call or stop by for applications. DEADLINE is March 15th, 2019. Not only can you keep up with what’s going on at Your Credit Union on the facebook page. We also have contest or drawings you can enter. PLUS, we’d love for you to send us photos of your children, pets, family, remodel job, vacations photos, for not just use on our facebook page but we may even use them in the quarterly newsletter, website, and branch TV screen. Your kids will be thrilled to see themselves on our media sights! Please email your photos to cindy.tong@audubonfcu.net. If you have any questions or concerns, call Cindy at 270-685-3487. Candidates must be a Member of AFCU for a minimum of two years, at least 18 years of age and agree to perform to the best of their ability the duties and responsibilities of the office in which they serve for a three-year term. Our Visa gifts cards are great for every occasion. A mobile app is now available for all members who are registered on the Online Banking system. If you have not yet registered, please view the instructions located here. 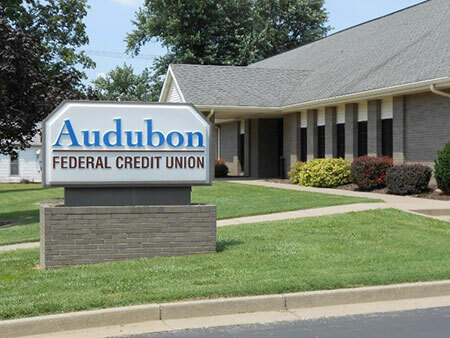 To download the app, click the link for your device below, or simply search for Audubon FCU Mobile in the Apple App or Google Play Store. For quick setup, follow these instructions. AFCU encourages members to use as many security features as are available to safeguard your information. This is including but not limited to phone lock security, antivirus software, and other preventative methods. Additionally, please be sure to log off using the button in the upper right hand corner of the main screen when you are finished using the app. If you have any questions or concerns regarding the safety or security of your information, please give us a call at 270-685-3487. Continue to watch here for future improvements to your services. Feel free to contact us and let us know of any service you would like us to offer. We are always happy to hear from you. eDeposits are here! You are now able to take a photo of that check and deposit it into your account. Click here for more information.